LOCAL ORGANIC ): White Cabbage goes AMAZINGLY well with bacon.. Jamie Oliver has nice recipe here. Storage: Store in a cool, dark place. Should keep for up to a fortnight. 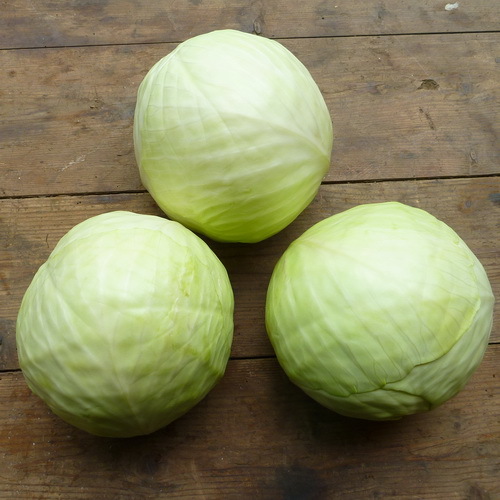 White cabbages are unsuitable for freezing.